The famed local landmark restaurant, Gino's, is making a comeback. The 1st store is already built in King of Prussia, PA. Now there are plans to build in Towson Maryland. Gino‘s was founded in 1957 by two former Baltimore Colt football players: Alan Ameche, Captain Gino Marchetti and their long time friend, Louis C. Fischer. What a treat to again have one of those Gino Giants! Commodore 64 Coming Back Again! The famous Commodore 64 is being redone, as a special commemorative computer release for the 30th anniversary, it would seem. Take a look at the pictures and commentary from CNET. A DVD burner, and modern USB ports are included, along with HD video output for today's high def TVs. Nice piece of nostalgia for the serious C64 fan. This is the computer that started it all. Update: Here is detailed information on the Commodore 64x computer that comes with Ubuntu 10.04 LTS. Prices are $250 to $895 for the loaded model. Recently a pal from work offered me some information on his enthusiasm for Predators. Apparently there is a gamut of information devoted to die hard fans of the genre. 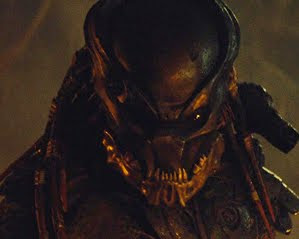 This is a nice site for all things Predator. I didn't know the subject matter was so deep.